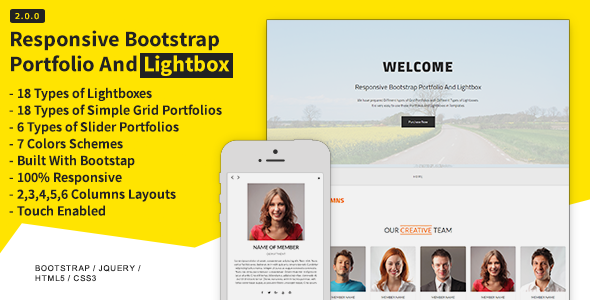 Responsive Bootstrap Portfolio And Lightbox Created by ThemeCuriosity. This templates have specific characteristics, namely: A set of responsive Bootstrap Portfolio And Lightbox contains bootstrap portfolio gallery, bootstrap lightbox gallery, bootstrap carousel with thumbnails and also support YouTube videos, vimeo video, self hosted videos etc with new features. It is made with bootstrap. We have made more than 18 .